Researchers at the San Diego Zoo Institute for Conservation Research announced Friday they successfully saved viable tissue cells from two rare and critically endangered vaquita porpoises. Scientists collected two tissue biopsies, which the institute received at the end of 2017, while working in association with the Mexican government and conservationists in a last-ditch effort to save the few remaining wild vaquita porpoises, which live in the northern end of the Gulf of California. 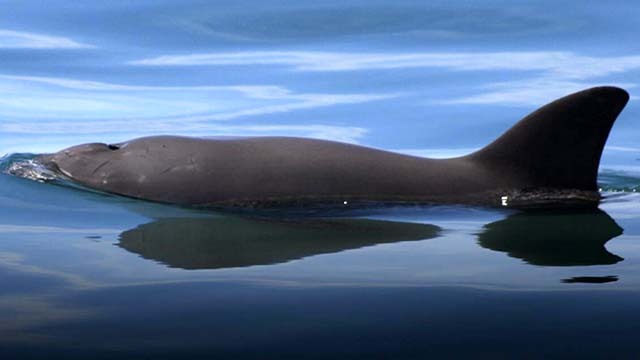 The vaquita porpoise is the smallest cetacean on record, measuring only four to five feet in length. Scientists estimate fewer than 30 vaquitas remain in the wild. While the institute successfully stored the cell material and it is expected to provide significant new research about the vaquita, geneticists warn that the samples are not likely to rescue the species if the species goes extinct in the wild. “Although we are announcing remarkable success in our ability to save viable tissue culture cells from two vaquitas, we must recognize that this small step will not allow us to save the species,” said Oliver Ryder, director of conservation genetics for San Diego Zoo Global.